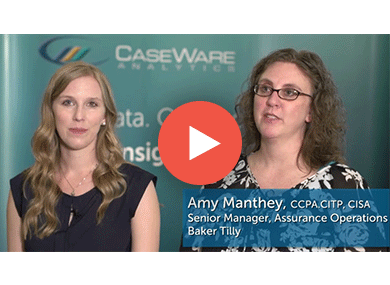 CaseWare IDEA® Data Analysis software is a powerful and comprehensive tool that allows professionals to assess risk, gather evidence, uncover trends and provide the intelligence needed to make informed decisions from multiple data sources. GDPR Compliance: Comply with the General Data Protection Regulation (GDPR) with a complementary tool that reviews the data within IDEA and analyzes it to determine the risk factor based on GDPR laws. 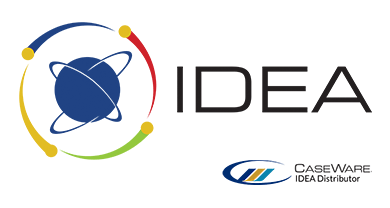 With its Window’s-based user interface, IDEA is instantly familiar. You don’t need to be a data scientist or programmer to navigate its powerful functionality. It offers a multitude of features to ease navigation and put commonly-used audit commands within reach. Need some help acquiring, importing and preparing your data? IDEA meets your needs for sharing and communicating your results in ways that others can easily understand and provide you with ways to stay organized along the way. Use predictive analysis tasks including Correlation, Trend Analysis and Time series to forecast and extrapolate data. These tasks can be used to detect gaps and duplicates in sequenced data such as invoice numbers. Expand your data analytics skills with our series of progressive learning where we begin with the essentials to achieve rapid ROI and set you up for long-term success. Ask about our new Road to CIDA bundle to plan and save along the way – contact [email protected] for details. Users receive unlimited access to the friendly IDEA experts for live support for all IDEA feature or function questions. Our Help Desk team will walk you step-by-step through any challenge, from difficulty importing files to creating IDEAScripts. Schedule an IDEA Demo Today!